Do Bruda and Allison join the team? Will other players transfer to Illinois? Does anyone transfer from the team? Does the team travel this summer? Discuss. When was the last foreign trip? I would imagine if they can legally, they will since I don't think the Illini are hurting for funding. It will be an excellent opportunity to break in the new hands. Setting is the obvious question mark IMO. Going for Poulter to whoever replaces her is going to be a huge change. Quade routinely had massive holes in the block to hit against created by Jordyn...guessing she will have to face a lot more well established double blocks next year. How effective she can terminate OOS balls will be important for Illinois success. I believe their last international trip was 2014 or 2015. They should be eligible to travel again and the experience would be immensely helpful as they have two key positions to fill. 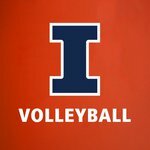 While it's understandable that virtually all the VB experts expect a sharp drop in how Illinois does in 2019 due to the graduation of Poulter and Bastianelli, I believe they're underestimating the value of the Illinois coaching staff in assembling, realigning, and developing the team as a unit. Even though you can't really replace a unique talent like Poulter in particular, I expect to see not just some personnel changes but also some system changes. At the beginning of 2018, everyone was paranoid about the looming problems with the lack of top level pins and #2 middles, and the disaster the season would become if Bruna wasn't cleared. So what happened? Bruna wasn't cleared, they didn't get any new pins...and they made it to the Final Four. So what happened? Quade developed into the "new" super OH. Fleming transfered in as a moderately rated middle, who developed into a terminator-type blocker/hitter. Kuper, a terrific athlete who had been an undersized hitter, got transformed into a quality DS and deadly server. And the entire back row steadily developed into a quality passing unit. In addition, the Illinois serving game became among the most aggressive (possibly best collectively) in D1. 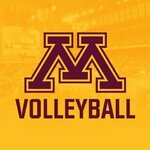 Speaking of their serving, the frequently made comments on VT about how Nebraska was "sloppy" in the semi-final match completely missed the fact that it was Illinois' aggressive and accurate serving in games 1 and 2 that totally disrupted Nebraska and kept them from running their middle slides and quicks to Stivrins. FYI, that's also a key to how they beat Wisconsin in the regional final. I don't have any special insight into how the Illinois coaching staff is going to adjust the system or the personnel. But I've seen enough about what they did in 2018 to believe that 2019 is going to bring more good surprises for Illinois fans (and bad surprises for prematurely higher rated Illinois competitors). This is a really superior coaching staff. Should be very interesting to see what they do to build "Illinois 2019". As far as high school recruits go and as would be expected, it has already been stated by the Illinois coaching staff that there has been a considerable uptick in interest in coming to the University of Illinois. I don't want to criticize our former coach. However, we looked awfully good in the first two sets. In those two sets we looked like a Tamas-coached team! I'd be on pins and needles if we were playing in the championship. I am rooting for Hambly to win his first NCAA championship. He was a former Illinois coach after all. Go Stanford! I heard yesterday that Maddie Whittington's (2019 recruit) mother played for Illinois in the mid 80's. Does anyone know who that would be? I’ll say it. More than a setter, Illinois need a transfer Libero to come in. While o’brien, Welsh, and Kuper have done a great job, we have the worst defenders of the elite teams this year. Libero transfers are rare though, especially good ones. Probably because typically only one scholarships gets used on defense. Given how thin Illinois was at every hitting position, I would love to see from Tamas if he would consider two schollies for defense anyway. I agree. Kuper's passing was a train-wreck in the FF match. Overall Illinois had the worst back row defense of all the FF teams. The back row was very young and inexperienced this year. Kuper is a freshman who was converted from an outside hitter. They will improve.